(SWN) - CLAAS LEXION: We're keeping a close eye on Lexion product being run in both wide and narrow body machines in canola and winter wheat in North Carolina. 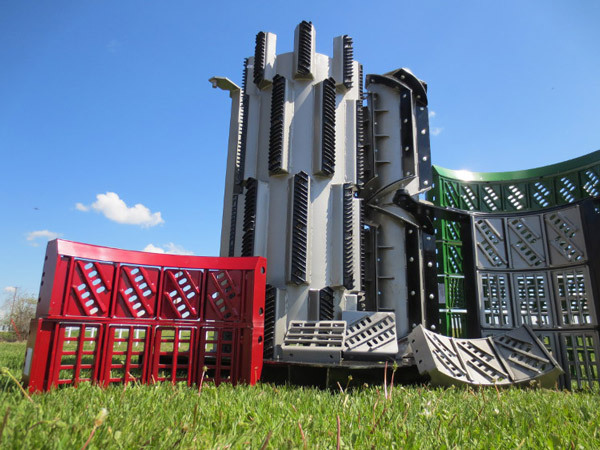 The Concaves are being run with small grain boxes in the front and round bar inserts in the back. The combination is hopefully going to thresh and maximum separation at the front. Jerome is Dealer Principal with Black's Equipment, amazing people. NEW HOLLAND: Rod Gribble is an innovative farmer running a CR combine in the Riverina area of Australia. He's joined our ad hoc design team doing durability and performance testing giving us another season in the field. ALL full steam ahead. Workin with Kondex now to get this product out to the world. See and speak with Rod and others HERE. JOHN DEERE: Sunnybrook is booked in at at the JD Agtech Combine clinic for July in Saskatchewan, looking forward to that. The ROD SEPARATOR design is new last year and gaining popularity. Some fantastic results with a Max thesh/rod separator combination sts thru s series rotaries. Our stainless steel replaceable wear edge design for the 9600 thru T670 conventional is still going strong. CaseIH: Great stories in the Western producer on the benefit of the additional 2 inches of feed lip into the processor (flagship models). You can read those stories HERE and HERE. Gerald is the President of Sunnybrook Welding and one of the leaders in cylinder and concave engineering in the past two decades. He is an active member of his community coaching football for both youth and adults. Sunnybrook concaves are tough as nails and quick to change out when they do catch a rock or two. I wouldn’t waste combining time using a factory concave unless I really had to. The folks at Sunnybrook are friendly, helpful, and always ready to go the extra mile for you. The great staff at Sunnybrook Welding have helped me out with customized machined parts for a lot of my farm equipment over the years, even my old Massey-Ferguson. They have a great eye for detail. Copyright © 2019 - Sunnybrook Welding. All rights reserved.